This topic contains 8 replies, has 5 voices, and was last updated by Helen 2 months ago. I love my grandchildren, but they are interfering with any hope of weekend boating. basketball-volleyball-etc. 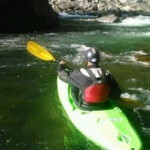 I am looking for people to kayak with during the week. I have work for any sunny (non-rainy) day, but any day that it is raining, I could possibly go boating.please post here as early in the day as possible, or call (no text) five seven three 517 two five 8 three – leave message- this is important, I have an old phone, if I am in a radio-dead zone, missed calls will NOT ever show up on my flip phone. I like boating with you and Terry, but I have become one of the sissy boaters. I am no longer a big water boater and a very long swim in big water scares me. Hopefully, I will get to run creeks or paddle the Saint at sane levels with you guys sometime soon. man, why can’t it be rainy and warm today? I appreciate the calls and messages, but today is the first nice-(non weekend) day I have had in a while. I’ve already been out looking at stuff, and as soon as it warms up a little more, I will be repairing roofs. I can possibly boat noonish? on Thursday and/or Friday. please keep me in mind on any other non-sunny days. please try to enjoy the river as much as possible today!!! I hope to be down by 11 AM tomorrow maybe earlier. Awesome day, many thanks to those who boated and to those who shuttled. was hoping to come paddle this next week if there is a break in the weather…not sure it is going to happen tho!